I bring you this recipe with a warning. After you try it, you may never want to bake anything else ever again. It is just that good. If I had pears in the kitchen, I’d be making it again right now. On my first flip through Southern Cakes, I marked the recipe for this bread because of Quinn’s affinity for pears. I thought it would be a nice treat for him. If I had known how much everyone who sampled it would like it, I would have made it much sooner. Either that, or I would have buried the recipe somewhere and saved us from our new all-consuming addiction. To me, this is everything a quick bread should be. 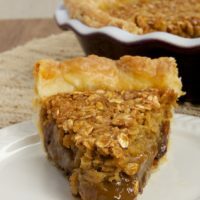 It’s moist, delicious, nutty, and just the right amount of sweet. It is very reminiscent of my mother’s zucchini bread, which she stopped making after the Christmas that my sister had her make a loaf to give to just about everyone she knew. 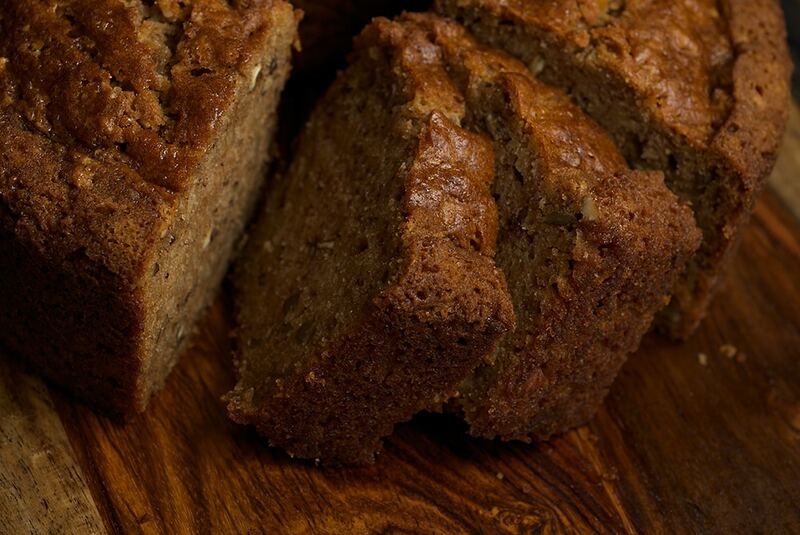 It’s been a while since I had any of that zucchini bread, but I have to admit that I like this pear bread even better. I opted to make the bread in a tube pan rather than in bread pans. In some future making of this bread, I want to try it as a cake. I can almost taste it with cream cheese icing. Quick breads are one of my favorite baked goods. 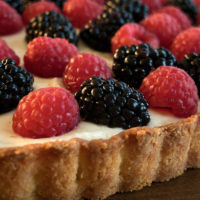 Their flavors and texture usually lend themselves to being served any time of day, from breakfast to a midnight snack. 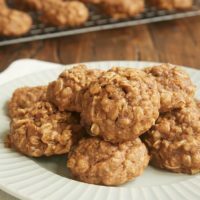 They might not be pretty and drool-worthy like some other baked treats, but they are every bit as delicious. 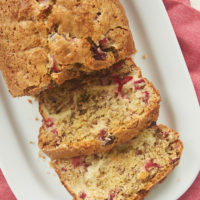 What are your favorite quick breads? Preheat oven to 350°. 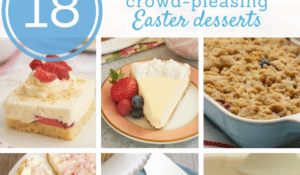 Lightly grease and flour a 10-inch tube pan or two 9″x 5″loaf pans. Combine flour, baking soda, baking powder, salt, and cinnamon. Scoop out about 1/4 cup of this mixture and combine it with nuts to coat. Stir back into the flour mixture. In a separate bowl, combine butter, eggs, sugar, pears, and vanilla. Add the pear mixture to the flour mixture, stirring just until flour disappears and batter is evenly moistened. Pour batter into prepared pan(s). Bake for 60-70 minutes, or until bread is browned and firm on top. A pick inserted into the center should come out clean. Cool in pan on a wire rack for 10 minutes. Then, remove from pan and place top side up on a plate or wire rack to cool completely. *May substitute 3/4 cup vegetable oil for butter. Recipe adapted from Southern Cakes. I love making quick breads. This one looks really yummy. This looks delicious. In the fall, I’m always trying to come up with an apple bread recipe to use up the extras. Maybe this would work? 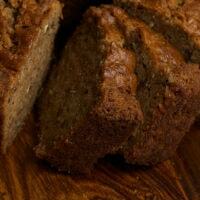 My favorite quick bread is pumpkin bread hands down! 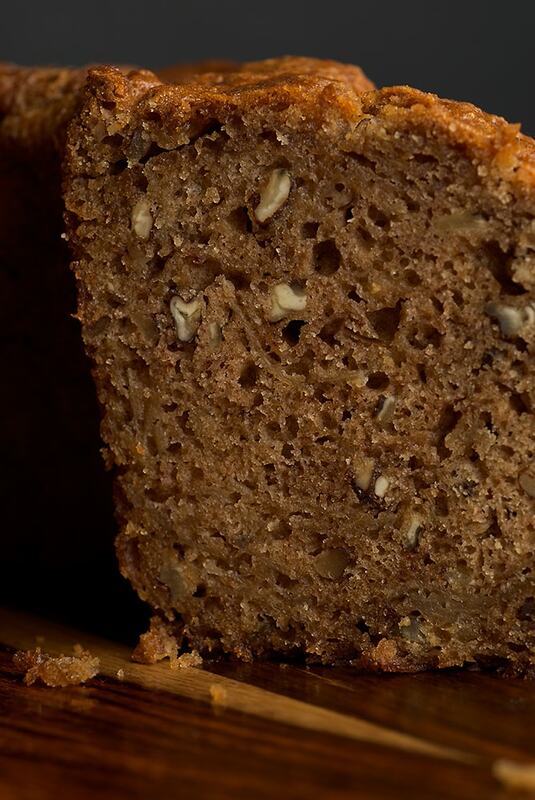 i love quickbreads – this one sounds perfect. pears must make it very moist. I always look for baking recipes with pears, Jen, but they are not that common. This looks super yummy, I’ll be trying it! I make some pear muffins that I really love. This sounds great too! what kind of pears did you use? bosc? bartlett? I just baked some pear bread. I just installed a brand new oven and this is my first time in baking anything in my life. I used crushed hazel nut instead of walnut. Delicious, although there’s not a hint of pear that I can taste. In my case, it took 40 minutes in the oven. Initially, I grate the pears by hand, but gave up and used a blender, which worked well. I used 4 pears in total to yield 2 cups of blended pear. As this is my first bake, I spent sometime googling the ingredients, vanilla, cinnamon, baking powder are all new to me. I couldn’t find any pecan or walnut in the local market, so I bought some hazel nut, which I pressed with a big knife to crush it to chunks. The result is 5 loaves of nice looking pear breads, I’m going to give one to my mom and see if she’ll like it. I love quick breads too, what is there not to love. My favorite is Banana, I stock pile really ripe bananas in my freezer so I can make it anytime. This look fantastic. This looks so yummy! My mom has the greatest banana bread recipe – so popular with our friends that she’s making a mini loaf for all of our wedding guests! It’s nice to see pears shine in a recipe! You honestly rarely ever see them. I made a pear-cornmeal cake one time long ago, but can’t remember seeing pears elsewhere! I need one of those pans. Can you believe I don’t have one? I love Bread recipes! At Christmas I give several gift baskets to friends. I’m always looking for a new bread recipes. I’ll have to give this a try! Bet it would be real good with a cup of coffee! Your pear bread is outstanding – it’s perfectly baked and looks wonderful. I’ve never tried a pear bread before but you’ve definitely peaked my curiosity. tian, I’m a big fan of banana bread, too. Stefanie, your apple bread idea is definitely worth a try. Sounds good to me! kimberleyblue, it is very moist. Patricia, I don’t find many pear recipes either. Such a shame because they are so good! Julie, pear muffins sound delicious. Yum! lori, I’m pretty sure I used Bosc pears. I got whatever looked the best at the grocery store. kiat, I love the idea of hazelnuts in pear bread. Katie, I’ve never frozen bananas. I’ll have to try that. Ashley, your mom is a trooper! That is quite an undertaking. Abby, I couldn’t part with my tube pan. Lucky for you, this bread works well in loaf pans, too. Or, I would think a Bundt pan would work. Cindy, I usually give quick breads for the holidays, too. This one would be a great addition to your recipe collection. christie, let me know what you think when you’ve made it. Great looking bread and blog! If I am baking, I know where to come to get a recipe. It looks realy delicious. I’ve never made a pear cake, this could be a chance. Morgana, it’s very, very good. I highly recommend it. this is definitely going on my TO-MAKE-SOON (long) list. Thanks for sharing. I love things pear! Stephanie, I hope you’ll like it! It’s so, so good. I’ve made that recipe tons of times and used canned pears, fresh and always chopped them not grated them. I’ve baked it in a loaf pan and as a cake. It’s so good that I use it in my wedding cakes often. Lorrie, I bet this makes a great wedding cake! Something a bit different than the traditional white cake. Y, I can’t imagine anyone not loving this. Enjoy! I have now made the pear ‘bread’ twice. It makes 2 loaf tins (as we call them in NZ). It freezes well. Lovely moist cake. Good to find a cake recipe using pears. I love your site. Karyn, I’m glad you like it! I find myself wanting to make this quite often. It’s just so good! I’m off to the kitchen to make this bread. I’ll post pics on my blog when I’m done. I can’t wait to try it!!! Monica, I just made this again a couple of weeks ago. So, so good. Enjoy! Bought 4 qt. bartlets for a couple of dollars this am at the local farmer’s market. Landed on this site looking for unusual things to do with my pears. I love the ease with which “newbies” can interact on your site. The comments and responses are very helpful and interesting. I will be visiting often. 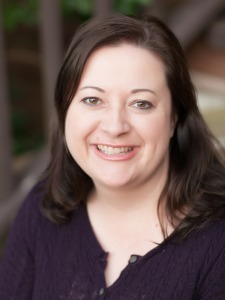 Welcome, sharon! Enjoy the bread! I just made this tonight! My loaf pan may be a bit large because I did not have enough for two, which was fine because I made mini muffins out of the remaining batter. Would you mind helping me ‘problem solve’? The perimeter of the bread rose first, and almost created a ‘crust’ before the middle had a chance to rise. Do you have any idea why this happened? My e-mail is trying4two at gmail dot com :O). I LOVE this bread! I just made it this past weekend and it’s one of my new favorites! I’m going to post about it on my blog sometime today. Thanks so much for the recipe! When you combine the eggs, butter, sugar, etc. Do you mean with an electric mixer or just by hand, stirring? Milou, either way is fine. It’s simple enough to mix that you don’t have to use a mixer. Enjoy! Can you use diced up pears ? Hi, Charlie. It may change the texture some, but I think finely diced would be fine. Hi Jennifer, I just made this recipe yesterday (you can see my newest post on my blog for details), and I wanted to let you know that as always your featured recipes are top-notch as are your literary skills of persuasion and description. 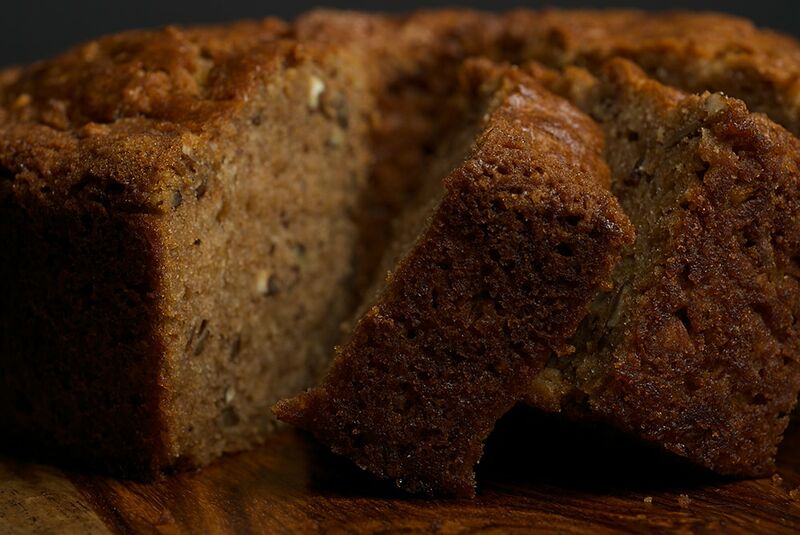 My family loved the pear bread–my father-in-law declared it was the best “cake” he’s ever had. And you’re so right about the addictive qualities of this bread!! I just want to keep eating… this will be a staple in my repertoire for sure! I actually made this bread and is quite pleased. I used a 10-inch tube pan to bake this bread. I used white whole wheat flour in pace of all-purpose flour; used oil instead of butter; 4 red pears (purchase weight: 2 pounds) and coarsely grated the pears using the largest holes of my box grater. Used a mixer to put the bread together like any other quick breads using a mixer. Baked for 60 minutes and looks exactly like the photo. This recipe is a keeper. For those who knows this recipe includes the buttermilk glaze, don’t use it. It was pretty on the bread, but I like my glaze to harden where you can wrap a slice with plastic wrap. The glaze stayed wet. Next time, just sprinkle the bread with powdered sugar or just leave it plain as pictured above. Thanks for the pear bread recipe. Everybody that has tried it says it’s the best quick bread they have ever had!! I did make a couple of changes. I canned pears and than ran the peelings and cores thru a juice and used the pear mush in the bread. I heated the mush and added thickner to make it the thickness of mashed bannanas. But the real kicker was I linned the pan with walnut crumbs and raw surger. It gives the bread a wonderful crunchy crust. People love this with all of my quick breads. 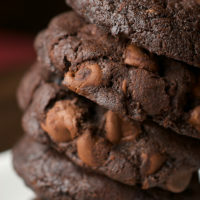 Would it ruin this recipe to use half whole wheat flour? 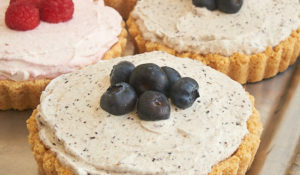 Would it ruin this recipe to use half whole wheat flour and to put them in a muffin tin instead? I’m always looking for breakfast muffins and I would love to turn this into a little healthier muffin recipe for my kids for breakfast. If I substitute oil for the butter does that make it healthier? Any ideas to make it a little healthier but still so tasty? Any help would be great! Darcy, I think using whole wheat flour would be fine. Making muffins should only change your baking time. I don’t know that there is any advantage of oil vs. butter. As many muffins as this would make, there wouldn’t be that much butter in each one. 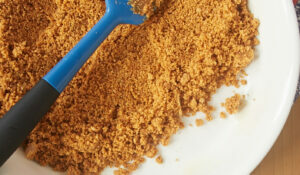 Try substituting the cinnamon and vanilla with 1 and 1/2 teaspoons of ground fennel. Turned out great! I just had to try this recipe immediately when I saw it on your site. Could you please let me know how thick the batter should be? For some reason when I made it the bread never firmed up, in fact I baked it for almost two hours and it just became more and more soupy and “sticky” except for the edges. I’m wondering if I needed to include more flour or if I grated the pears too much (they became more like pear mush than strips of pear like you’d get strips of cheese on a cheese grate). Any thoughts on how I could make it next time? The batter and edge crust tasted AMAZING so I’m really looking forward to trying the bread. Estella, my first guess is that your batter was over-mixed. You might also check the accuracy of your oven’s temperature. I have a thermometer that can go inside the oven that gives me an idea of how accurate my oven’s temperatures are. The pears don’t really grate like cheese. They’re going to be pretty mushy. Good luck and enjoy! Thanks Jennifer! And thank you for responding so quickly. Could you give me an idea of how think the batter should be? I tried again last night and was careful not to overmix but got the same result. I’m thinking that the “stickiness” I’m seeing in the pan is the release of the pear juices so I might try adding more flour? I even tried baking a little of the batter in muffin cups but those didn’t firm up either. Estella, it’s not a really thick batter. It’s about the consistency of a normal cake batter. Thank you for this recipe. My boyfriend had experienced a great pear bread at one time in his life and had a moment of euphoria thinking back to this bread, so naturally I wanted to attempt to make some. Today I searched online for recipes and stumbled across this one. I made a few changes by cutting my pears in chunks and using coconut oil in place of butter and it was fantastic! Now on the search for more of a bread pear bread and less of a dessert pear bread. Thank you! Oh! I also used hazel nuts and added cinnamon to the flour I dusted the pan with! Yummy! My 1 1/2 year old loves pears and they are awesome for his belly. Problem . . .he’s allergic to eggs. Any thoughts on how to replace the eggs in this recipe? I made this in two loaf pans, had one for me and my husband at home and then took the other to work. Amazing texture and flavor! I couldn’t really tell that it was pear, however. My boss totally raved about it, and I’m going to give her the recipe! I made this two weeks ago and again today . It is really delicious bread. We have pear trees in our garden . So now I have a fantastic easy recipe to make with them. This time I added 1/2 tsp apple pie spice just to spice it up a bit. It only took about 50 minutes in my over to bake it. It also slices better if you let it get room temperature. I found the texture and flavor even better the next day. Husband loved it!! Me too. It’s one of my favorites, Kat. So glad you’re enjoying it, too! The recipe looks delicious and I have a bunch of ripe pears that need to be used. Do you think I can substitute yogurt for the butter? I did so when I made banana nut bread and it seem to work well. I’ve not tried that substitution in this recipe, but the general rule is not to replace the butter completely. Try substituting half of the butter with half the amount of yogurt. I always bake with unsalted butter. I love, love, LOVE this bread. I’ve made it a handful of times, and it’s definitely a crowd pleaser. One little tip: I don’t tend to have fresh pears on hand, so I use canned pears. I just drain the juice and since the fruit is so soft, I use a hand blender to get it into a mush like applesauce instead of grating it. 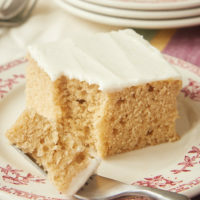 This cake bread is fantastic but with half de sugar… 1 cup of sugar is quite enough. We can also use other nuts than pecan and it is perfect. I have also used 1 cup of whole wheat organic flour and 2 cups of white unbleached flour. CAN I REPLACE THE PEARS FOR ZUCCHINI? Hi, Sandra. I’ve not tried that with this specific recipe, but I think it would work similarly.